Variable Kingsnake, EarthTone Buckskin. Sometimes modestly colored EarthTones will develop intensified coloration with age as seen with this snake. 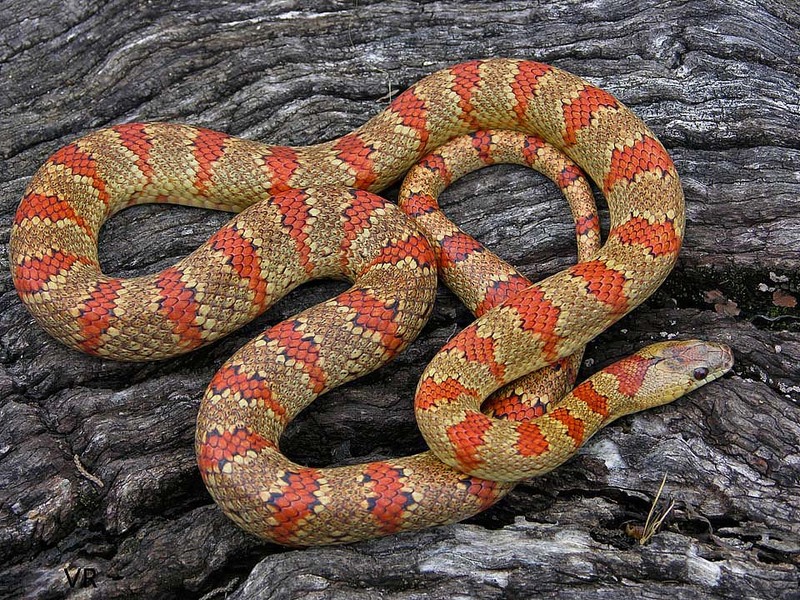 There appears to be some type of hypomelanism occurring with the black banding on this snake. In the areas normally occupied by black only a faded ghost pattern remains. Flecks of black still populate some of hypomelanistic areas. The dark stippling on this snake give it a wonderful, brindled appearance.